It’s hard to believe that it will have only been 69 days since Crystal Palace were victorious in the Championship playoff final when the 2013/14 season gets underway on Saturday. It certainly won’t be long before the same old clichés of "anyone can beat anyone" and "it's the hardest league to get out of" are used again & to be fair it's possible to stake a claim for a dozen sides this coming season but having considered the likely promotion contenders we’ve got two selections... at the prices we think Nottingham Forest at 11/1 (Sky Bet) to win the league and Brighton at 11/2 (BetVictor) to earn promotion represent good value. Billy Davies guided Forest into 8th place last season. Davies took over as Forest manager for the second time with just 15 games of the season remaining, winning 7 of those 15 (46%). 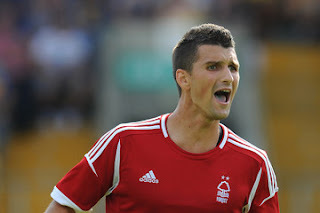 A full pre-season working with the players and the ability to sign his own players will certainly help the Forest cause. Lewis McGugan and David McGoldrick have departed however Jamie Mackie, Eric Lichaj, Gonzalo Jara, Jack Hobbs, Dorus De Vries, Djamel Abdoun and Jamie Paterson have all joined the club meaning more strength in depth across the pitch & they certainly look to have options at every position which is key in the grueling 46 league game season. The ability to pick up points away from home is key in this division – it’s no surprise that the three sides that won the most away games in 12/13 filled the top three places in the table. Not only do Forest need to pick up points away from home but they also need to turn draws into wins if they are to challenge at the top end of the Championship this season. In 12/13 they drew on 16 occasions, had three of these draws been victories they'd have finished above the eventually promoted side Crystal Palace, hopefully the signings of Mackie et al can improve their fortunes. If they can continue the upward curve that Billy Davies sent them on at the end of last season then Nottingham Forest have every chance of challenging for the top prize. We see no reason why the departure of Gus Poyet will destabilise Brighton who impressed many last season when finishing 4th. 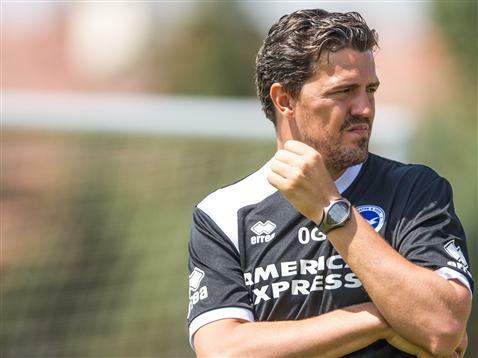 The managerial saga was finally concluded in June when former Barca youth coach Oscar Garcia was announced as boss & clearly he's a top pedigree that should fit right in with Brighton's smooth passing style. Like Forest if Brighton can turn draws into wins they can propel themselves even higher in the league, they accumulated a whopping 18 draws last season & they’ll be hoping that Garcia’s attacking style of play aids them in collecting maximum points more often. Just like Forest they finished last season strongly – 'winning' the second half of the season (claiming 41 points from 23 games). There have been minimal tweaks in the playing personnel with the permanent signing of the experienced Matthew Upson a boost for the club. Wayne Bridge however will be plying his trade for promotion rivals Reading in 2013/14. We’re in no doubt that Garcia will add to his playing squad before the transfer deadline closes & if they can replicate their performances of last year they should put themselves in the mix once again & claim at least a shot in the playoffs & at a best price of 11/2 (BetVictor) for promotion we think that’s good value. In the handicap market we think that Ipswich, under Mick McCarthy and Blackburn Rovers will improve on last season; however they’ll probably fall just short with +14 and +12 points respectively. Our selection in this market is Middlesbrough. At 25/1 with a +16 handicap we believe Tony Mowbray’s men can surprise a few and challenge for a top 8 position, giving them every chance in the handicap market. An improvement is required on their travels in they are to compete in the top half, having won 13 of their home games (same amount as promoted Hull) its obvious that the return of 17 points away from the Riverside needs to be bettered in 13/14. Boro finished just 9 points off the playoffs last term – quite remarkable given the fact that they amassed fewer points than any other side in the second half of the season, a summer to shake out the negative thoughts that must've crept in towards the end of the year will have done them the world of good. It's hardly a selection out of the blue given that the Oldham born striker is the favourite but the £8 million hitman Jordan Rhodes bagged 27 goals in 43 appearances at this level last season and a similar return this year should see him triumphant with the only worry being that a Premier League club or maybe Celtic... could come in for him in either transfer window. 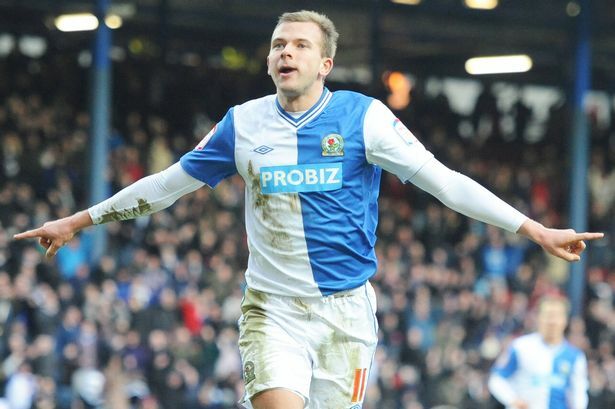 Rhodes can be backed at 8/1 with BetVictor. We also quite like a speculative 80/1 (Betfred) shot. Michael Chopra has moved from Ipswich to Blackpool in the close season and clearly knows where the net is. His off the field problems have been well documented and a move to Blackpool might not exactly change his ways however there's no doubt that at this level he scores goals & Blackpool have an attacking philosophy (often to the detriment of their woeful defence) that will help Chopra’s cause. His recent returns haven’t been that impressive but it’s likely that he’ll start far more games for Paul Ince's Tangerines and if he gets the service we can see the goals coming. At an average a goal every 3 appearances (including sub appearances) throughout his career it's feasible Chopra could get 16+ goals for the Bloomfield Road outfit & that should give him a better chance of sneaking into the each way places than odds of 80/1 imply.